It’s not always about being super competitive and catching fish, sometimes its not even about being out on a boat fishing. This week proved that to me as i got a great chance to fish with my nephew at a local lake. 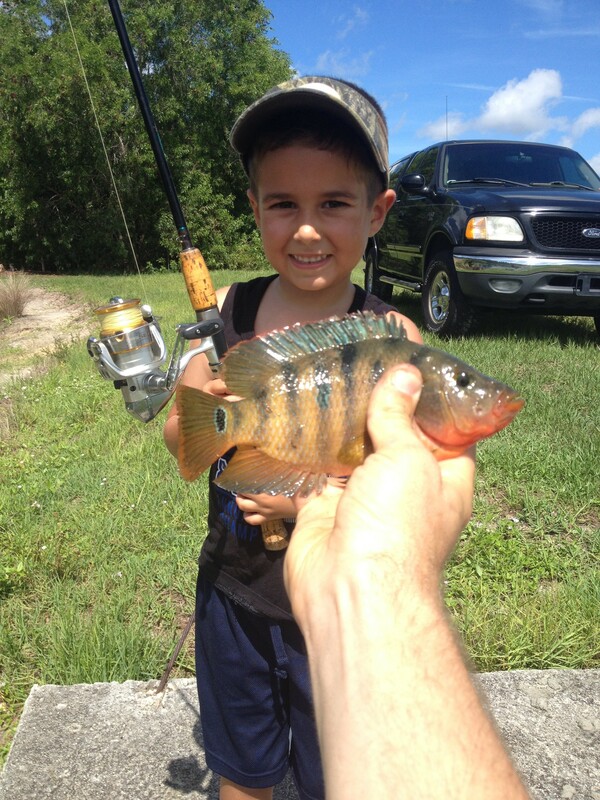 This fishing is super easy but the excitement of the entire experience for the kids can be great and just another reason why i love fishing and taking people fishing. Swing by Wal-Mart and pick up some night crawlers for bait. Stick em with a 2/0 circle hook and a small weight (no need for a leader) and you’re in business! It didn’t take long before we were hooked up and i promise it was something he will remember forever!